Retire to Vaughn NM and easy living! The home offers not only a lovely single story home with 3 bedrooms and 2 baths plus a basement and sun room/storage room but also a 9 space RV Park. Bring your RV and invite your friends to come along. With no advertising this RV Park still produces a little cash every month. Bring your skills and improve the cash flow. Owner is open to an offer so come take a look for yourself. 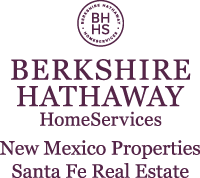 I am interested in 322 8th Street, Vaughn, NM 88353. Sign up for Inside AccessTM to view recent sales near 322 8th Street.